Traces the lives of members of the Trueba family, beginning with clairvoyant Clara del Valle's summoning of the man she intends to marry, ambitious Esteban Trueba, and following three generations over the course of a century of violent change and their participation in the history of their times. 15,000 first printing. Chilean writer Isabel AllendeÃ¢ÂÂs classic novel is both a richly symbolic family saga and the riveting story of an unnamed Latin American countryÃ¢ÂÂs turbulent history. 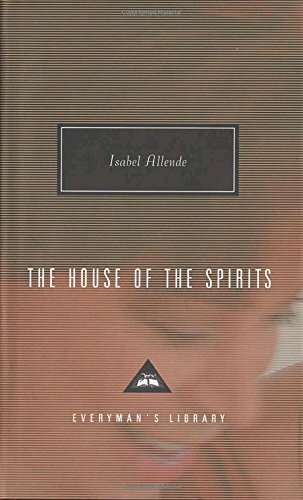 In a triumph of magic realism, Allende constructs a spirit-ridden world and fills it with colorful and all-too-human inhabitants. The Trueba familyÃ¢ÂÂs passions, struggles, and secrets span three generations and a century of violent social change, culminating in a crisis that brings the proud and tyrannical patriarch and his beloved granddaughter to opposite sides of the barricades. Against a backdrop of revolution and counterrevolution, Allende brings to life a family whose private bonds of love and hatred are more complex and enduring than the political allegiances that set them at odds. The House of the Spirits not only brings another nationÃ¢ÂÂs history thrillingly to life, but also makes its peopleÃ¢ÂÂs joys and anguishes wholly our own.